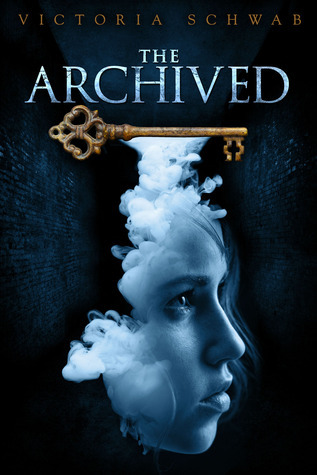 The Archived (The Archived #1) by Victoria Schwab, published in 2013 by Hyperion. Author (and her Tumblr and Twitter). Book Page. Goodreads. Book Depository. Amazon. I really, really liked this book. I liked that Mackenzie has all these painful memories of her grandpa and her brother and doesn’t want to let go. I liked that Wesley seems carefree but is actually far from it. I loved the worldbuilding and the plot. And while I expected, again, that Mac will fall in love – as is usual in much of YA nowadays, I was exceptionally glad she didn’t – because there’s more to life than relationships and teenage crushes. I did like the fact that she tried, and failed, to make her pain go away by hooking up with a boy. I find the idea of shelving the dead for their Histories quite terrifying (how do they keep them from rotting?). Imagine being able to access the memories of hundreds of thousands of dead people … What would you do with that knowledge? Catch escaped murderers, like Mac is trying to do with the girl who was killed in the appartment her family has moved into? Find buried treasures everyone has forgotten? Bring peace to those who survived their loved ones? This is the kind of series I like – when even the first part has a beginning and an ending and basically functions as a stand-alone. I love novels where the fantastic part of the world is incorporated in such a simple, unobtrusive way that I slip right into it without feeling I’ve had to swallow a huge chunk of data first. The novel is just long enough to be complete and to keep me wanting more. I’ll be ordering The Unbound (part 2) presently and hoping that Schwab gets a deal for the third part as well. In the meantime, I have Vicious and A Darker Shade of Magic on my to-read list. This entry was posted in Book Review and tagged 5/5, fantasy, review, series, YA on June 21, 2014 by Kaja.